In my last post I talked about going to see Ellie Goulding. Well, I have some news - Pat and I managed to finagle our way into the front row of the concert last week and it was AMAZING! Ellie has the voice of an angel and I love her new album. Definitely check it out! I'm jamming to it right now. We had such a great time. I also loved Ellie's sparkly pants and then to top it off we spotted Scarlett Johansson backstage! Pretty epic Wednesday if you ask me. 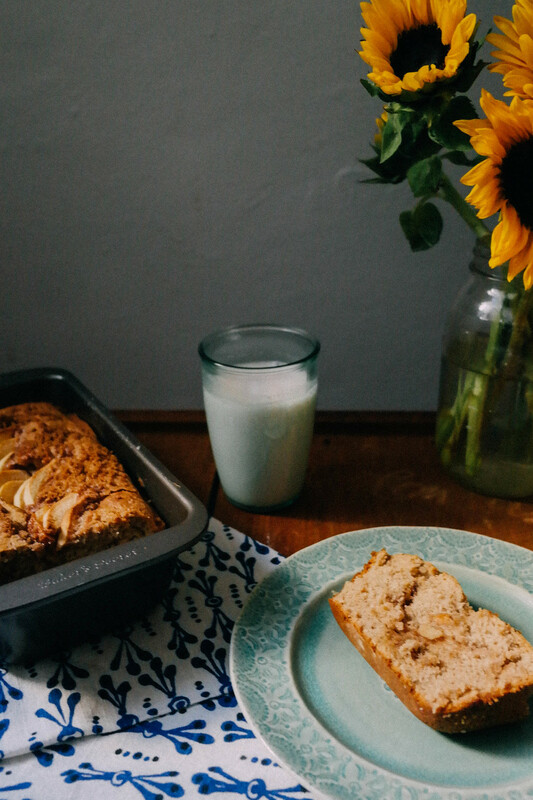 Since last week was crazy, I was happy that I'd made this Spiced Apple Loaf to enjoy for a couple days. If you know me then you know that I'm a big fan of a loaf. Literally. If it comes in loaf form, I will most likely eat it. This one was both a hit at work and gave me a fun breakfast treat all of last week. It looks pretty too! Grease and flour a 9x5-inch loaf pan. Mix brown sugar and cinnamon together in a bowl. Beat white sugar and butter together in a bowl using an electric mixer until smooth and creamy. Beat in eggs, 1 at a time, until incorporated; add vanilla extract. Combine flour, spices, and baking powder together in a bowl. Stir the mixture into the sugar, butter and egg mixture. Mix milk into batter until smooth. 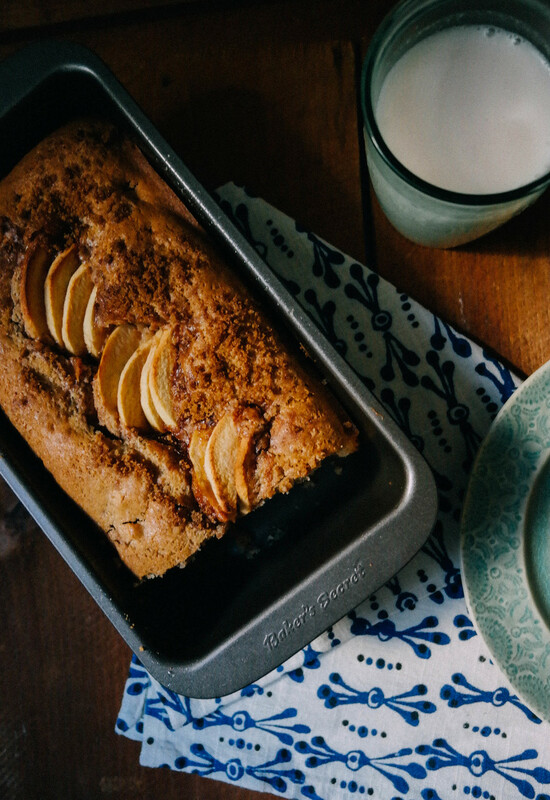 Pour half the batter into the prepared loaf pan; add half the apples and half the brown sugar mixture. Pour the remaining batter over apple layer; top with remaining apples and brown sugar mixture. Bake about 30 to 40 minutes, until toothpick or fork stuck in comes out clean.